Pulau Menjangan is a terrific dive destination for wall diving with a great opportunity to dive deep from 20 to 60 metres. The walls are magnificent with great gorgonian sea fans, sponges and small caverns to explore along the wall. 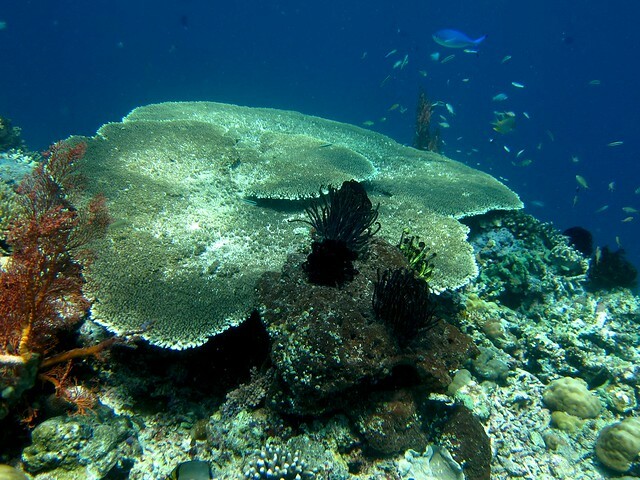 Some years ago Menjangan island was also world famous for its flat reef corals but after bombings, El-nino effects and coral bleaching over the last twenty years, it is no longer the case. However for the last few years the coral has been improving and is still very nice to discover. Diving in Menjangan is also very rewarding for beginners. Especially due to the fact that the current is very light and the visibility is usually very good and can even be outstanding (50m +). Moreover, you can dive easily on the reef flats around 10 metres deep. The walls and the very colourful and vibrant soft and hard coral offer underwater macro photographers special opportunities to capture some beautiful shots. Menjangan island is really great for small and medium fishes but you won’t see lots of big pelagic fishes. However you can spot blacktip and whitetip reef sharks and Manta rays at certain times of the year. A very nice diving site around Menjangan Island is the Anker wreck, a 150 year old wooden boat lying on the sea bed around 40 metres deep. BUT be CAREFUL, due to the deep diving around the island, Menjangan has the highest rate of decompression sickness in all of Bali! So please stay safe, ascend slowly and respect your safety stops. In this page you will find more detailed information about scuba diving in Menjangan Island. How to dive Menjangan Island ? How to dive Menjangan Island? There is just one dive resort on Menjangan Island: The Mimpi Resort. You can also dive Menjangan with dive centres located in Permutaran and Lovina or during a diving safari around Bali who will often organise a return day trip for you. I usually use this website to book in advance my hotels in Menjangan Island, Pulau Menjangan as they usually have the lowest rates I find. I like it because it's free to cancel and change the dates. You can dive around Menjangan Island all year round but the best season to avoid the monsoon is from April to October and the best visibility from October to November. If you are planning an upcoming dive trip or travelling to Menjangan Island, it is a really good idea to invest in travel insurance for scuba diving, because you never know what could happen and when you might need it (because accidents do happen!). I recommend this diving insurance as they offer worldwide coverage and focus on providing scuba divers a quality insurance and medical assistance service. Now that you know all about the underwater world, you might want to start planning your scuba holiday! Check out our Menjangan Island Travel Review for information about how to get there, activities and excursions, where to stay, and more. We went there in a mini-bus straight from Lovina (with a really funny local Balinese driver!). This was the first place I dived in Bali after coming from Java. The water is crystal clear and fish life stunning, highly recommend it! Even for snorkellers above us (who came over to the same spot on the same boat) could see much the same as us! Great for divers and snorkellers too. Will return there one day! Awsome place for a snorkelling day trip from Lovina. Thousands of fishes and nice coral! I was lucky enough to dive Manjangan last month. Amazing coral with some awesome macro options. The coral here is beautiful here, but don’t expect to see too many big fish. For the more advanced folks check out eel garden on the west side. Depths are between 17-25m, but the coolest thing is a open plain filled with ribbon eels and other folks sticking a few cm to a meter out of the seabed trying to catch plankton in the current. Currents can be strong. Menjangan island is fantastic for divers that enjoy spectacular wall dives. I’ve named this dive the ‘wonder wall’, it feels like you are stepping into a magical world while diving there, with practically no other diver in sight besides your buddy. It isn’t common to spot larger species of fish here (besides the occasional Whaleshark), so some divers may get disappointed. Personally I think the highlight of Menjangan is the Mandarin Fish dive at Bajul Bay (make sure you squeeze this in). I was just wondering if your company or whether you know anybody that might be interested in purchasing a magnificent Phinisi? It is in Indonesia and is ready to be enjoyed privately or to earn money! Please contact me for more information and to discuss any interest. I am on Whats App so could talk. 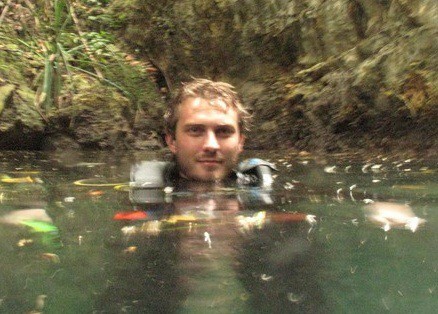 Hi There, I am interested in diving in menjangan. May I book my dive trip with you ? and also the room for me to stay close to the dive spots. I am holding advance license to dive. But this time I will dive alone, as the schedule doesn’t meet my friends’ schedule to dive together. So I am looking for the group that you may already have so that I can join in.. I have schedule from sept 9 till sept 12, but I will be flying back to Jakarta at Sept 12 evening. I need someone to pick me up on sept 9th at nusa dua hotel where I will be staying . Pls let me know if my schedule is okay. look forward to your reply soon ..
Have you been diving or snorkelling in Menjangan Island? Consider sharing your experience with the diving community by leaving a comment below! Planning holidays in Menjangan Island? Looking for practical information for a trip to Menjangan Island? Check out our Menjangan Island Travel Review! Check out these few spots around Pulau Menjangan!